Looking to fit new architrave on your doors? 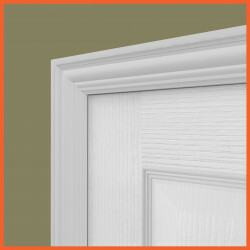 MDF Architrave is now the most popular architrave for doors and windows, because there are no imperfections (like knots or splinters) that are found in natural wood materials. This makes MDF architrave easy to install and very cost-effective. Not to mention it looks great! Find Your Perfect Architrave Here! 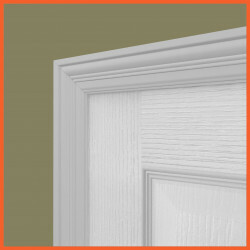 We have a huge range of architraves available to suit any interior style. All our architrave is now available pre-finished in white satin or gloss, so they arrive ready to install. We also offer an unrivalled range of widths and thicknesses so you can be sure that the architrave you order looks perfect in your room. Our architraves are available to order in lengths and sets. A single architrave set consists of two upright pieces for the sides of the door at 2440mm and one ‘header’ or ‘crossbar’ for the top of the door at 1220mm. This gives you plenty of architrave for one complete door face. Double sets are the same as sets in that you get 2 uprights at 2440mm, but the crossbar is also 2440mm. This gives enough architrave for a standard double-width door. 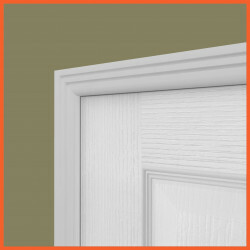 A double architrave set is for a double width door, rather than being two sides of a standard width door.